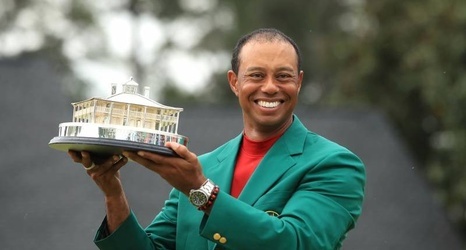 Tiger Woods completed one of the most remarkable comebacks in sporting history on Sunday as he won the 2019 Masters by one shot almost 11 years on from his last major victory. One of the greatest comebacks in sports history. 2008: Wins US Open on torn ACL 2010: Neck injury 2011: Sprained MCL, Achilles 2012: Achilles injury 2014: Back surgery 2015: Back surgery 2017: Back surgery 2019: Wins Masters (first major since 2008) https://t.